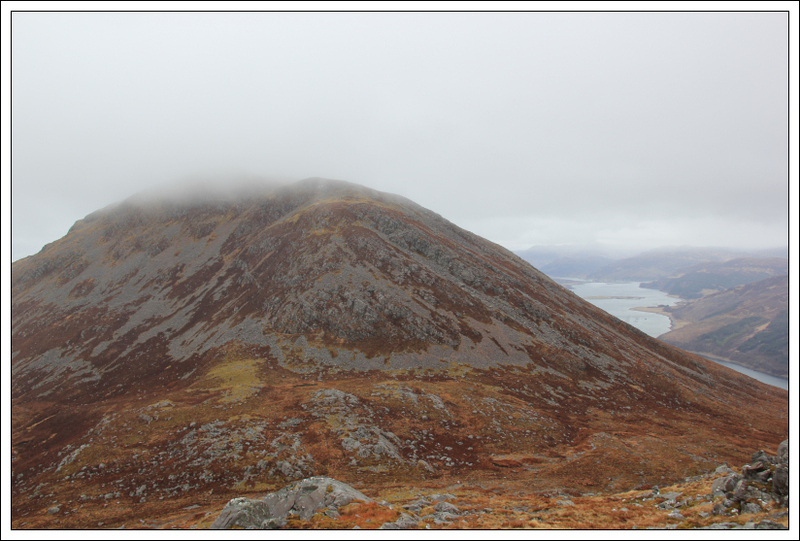 I have put off ascending Sgurr na Coinnich and Beinn na Caillich on several occasions as I have been waiting for a nice day to do them. Today was not a nice day however I decided to ascend them regardless. 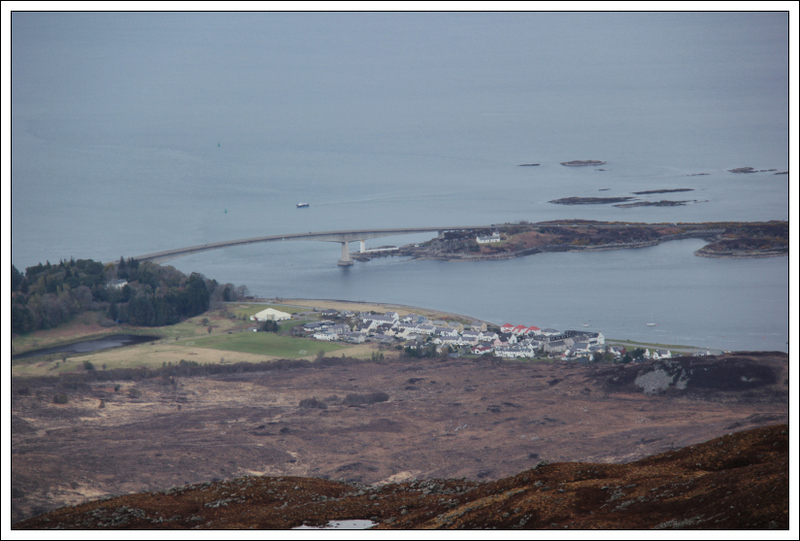 If I wait for a nice day on Skye, I could be waiting a long time. 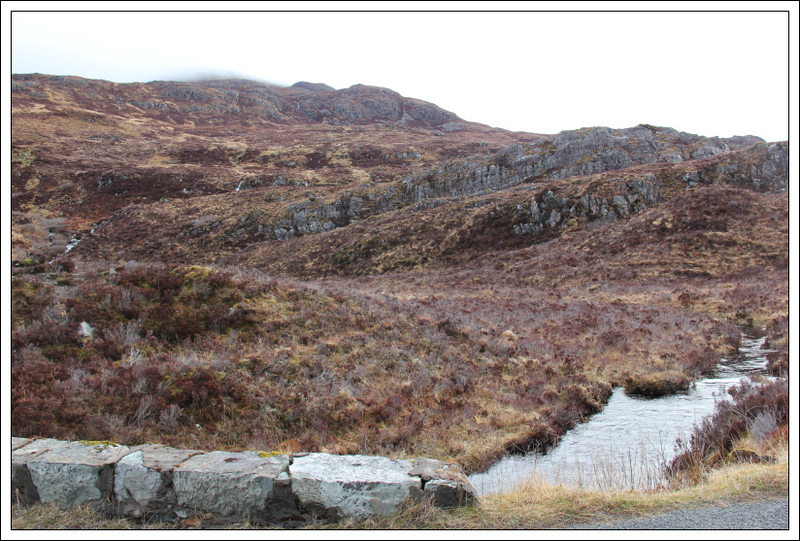 I parked at Bealach Udal on the road to the Kylerhea ferry. The initial section of walk was very wet underfoot given all the recent rain. Hard to believe that just a few weeks ago there were numerous wild fires owing to the ground being so dry. 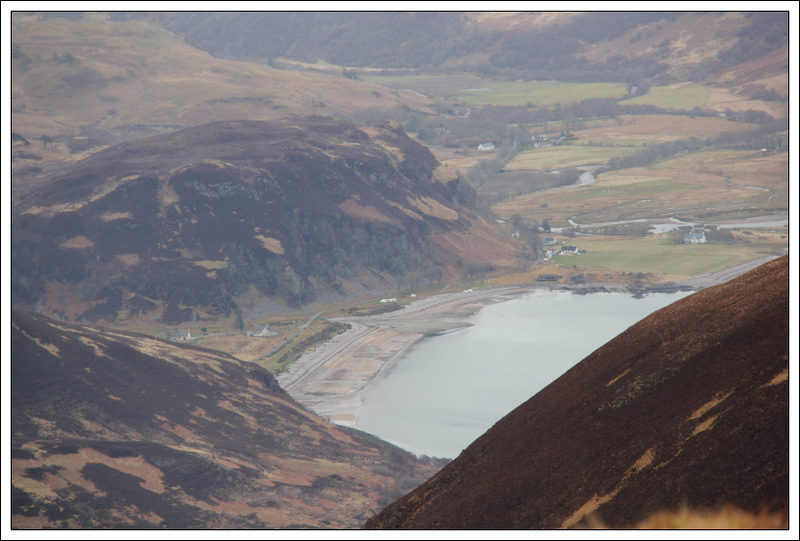 I was in no hurry to ascend the hills today as I had plenty time and a sore foot. It was nice to walk at a slower pace than normal. 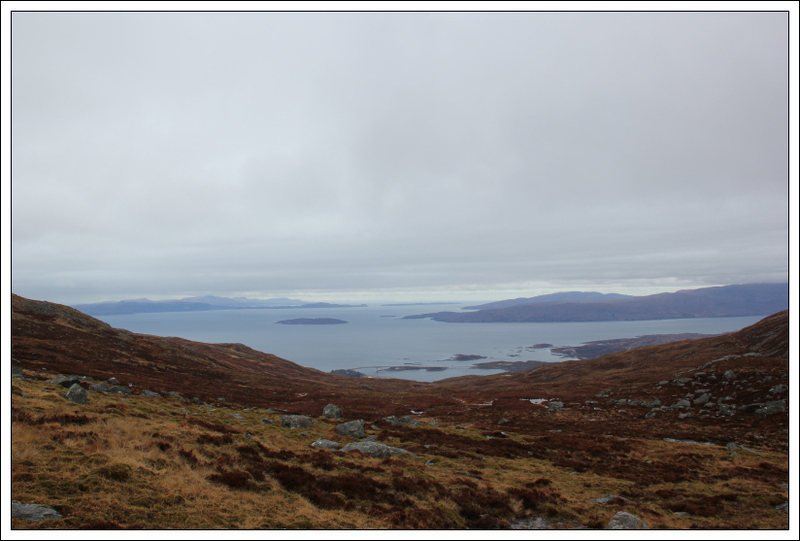 During the ascent, I could see the Isle of Eigg but couldn’t see An Sgurr due to low cloud. 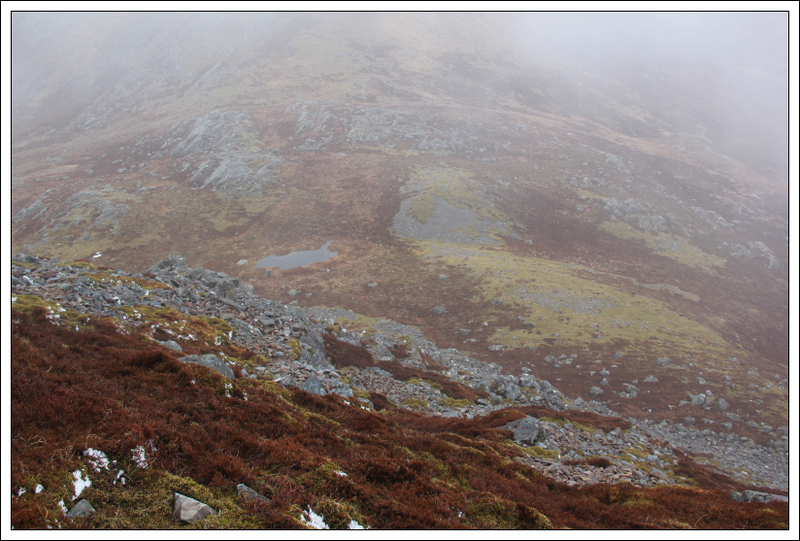 On reaching circa 500m, I entered the mist. 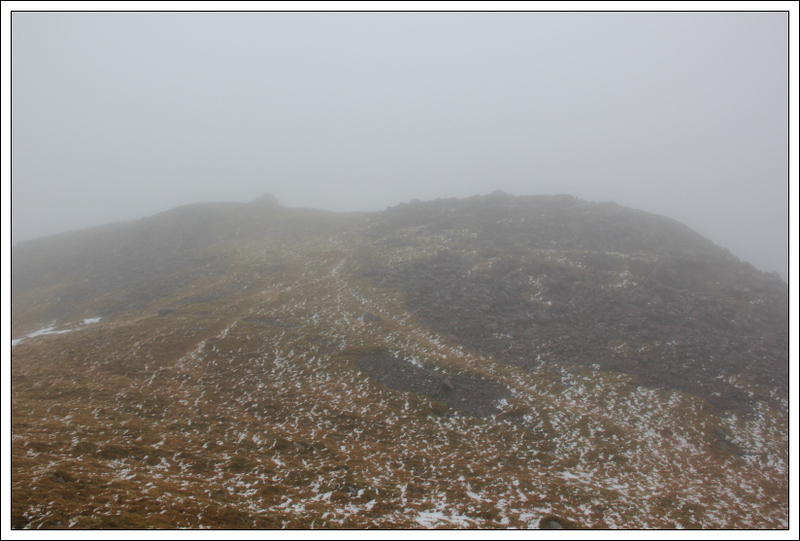 Disappointing to do these fine hills in the mist and get only limited views. 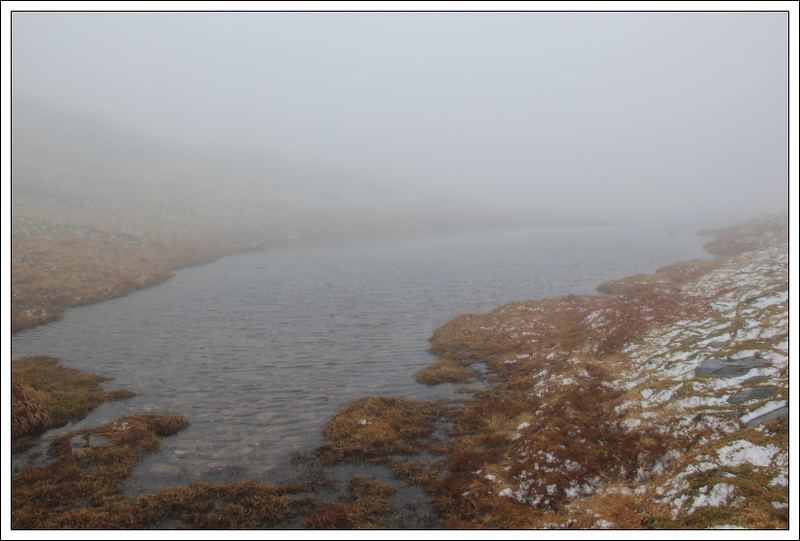 On reaching 700m, I skirted round the end of the small lochan and made my way up the final slopes of Sgurr na Coinnich. I avoided most of the rocks in the next photo by ascending to the left. 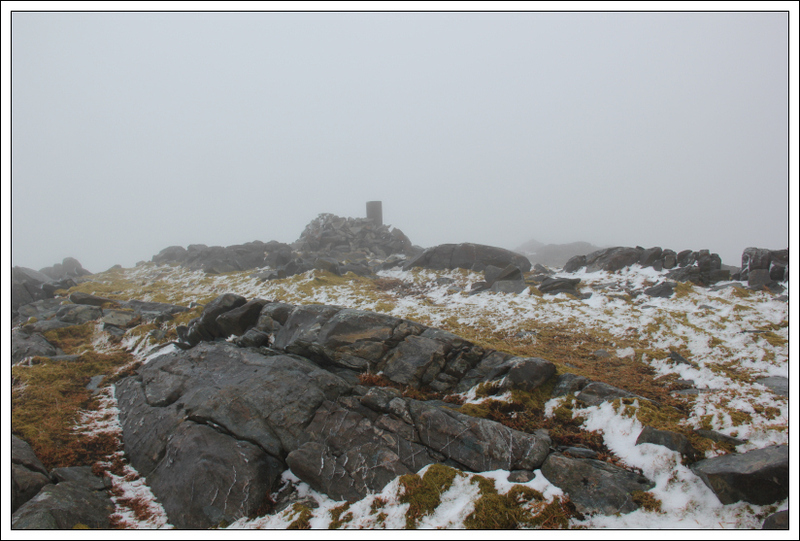 On reaching the trig point, I also visited several nearby rocks at least one of which is higher than the trig point. 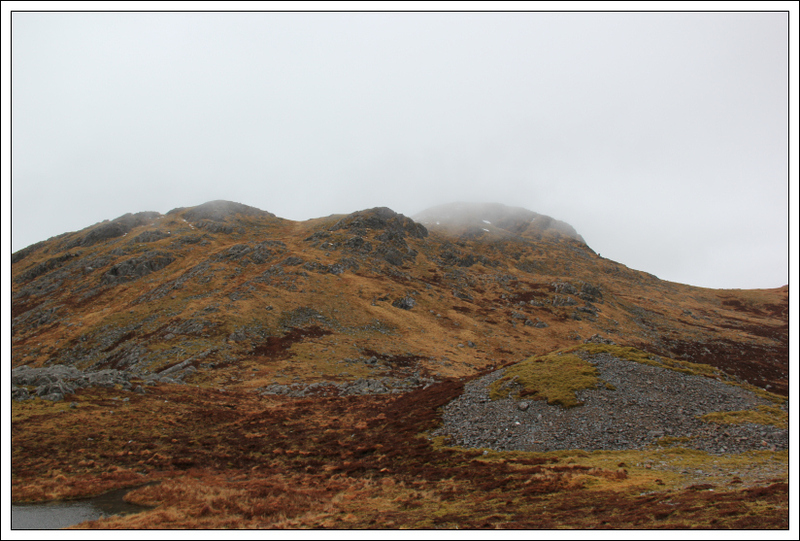 I referred to my GPS a couple of times to get from Sgurr na Coinnich to Beinn na Caillich as I didn’t have a paper map with me today. Bad boy! 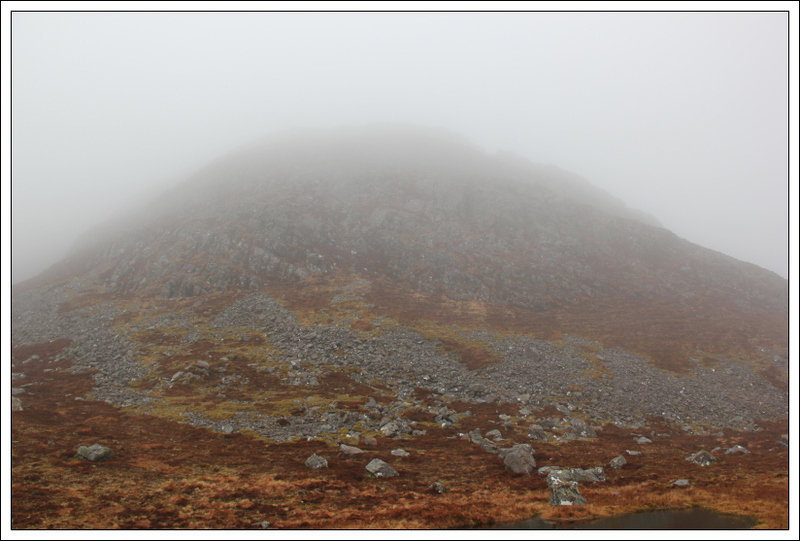 As I approached Bealach Mulachag, in the mist, the ascent of Beinn na Caillich looked really steep. 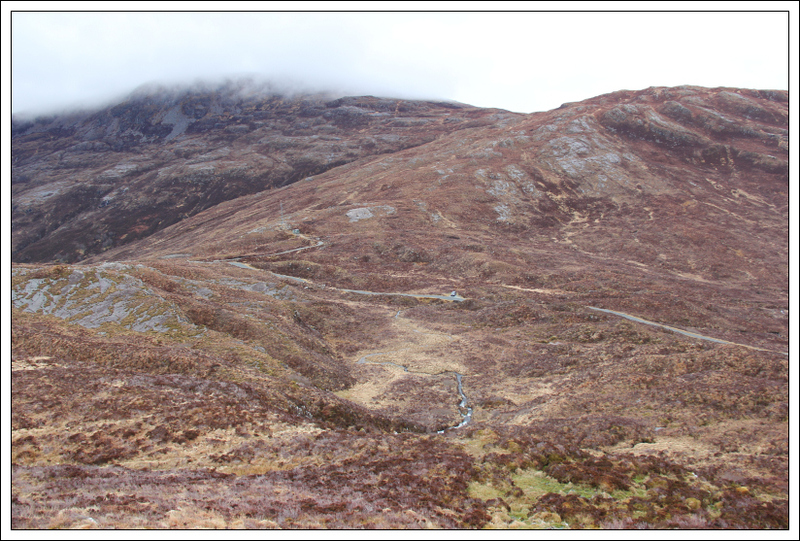 I ascended the steep section via a path to the left (North). 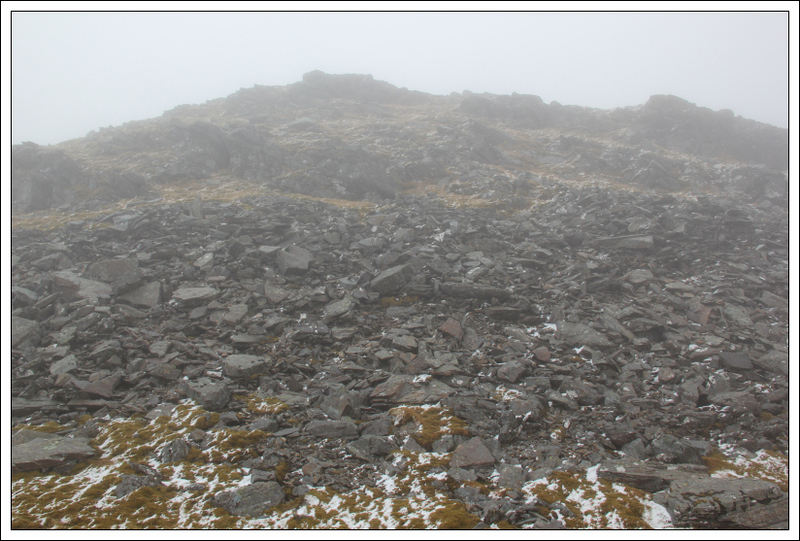 Once beyond the steep section, it was an easy plod to the summit. 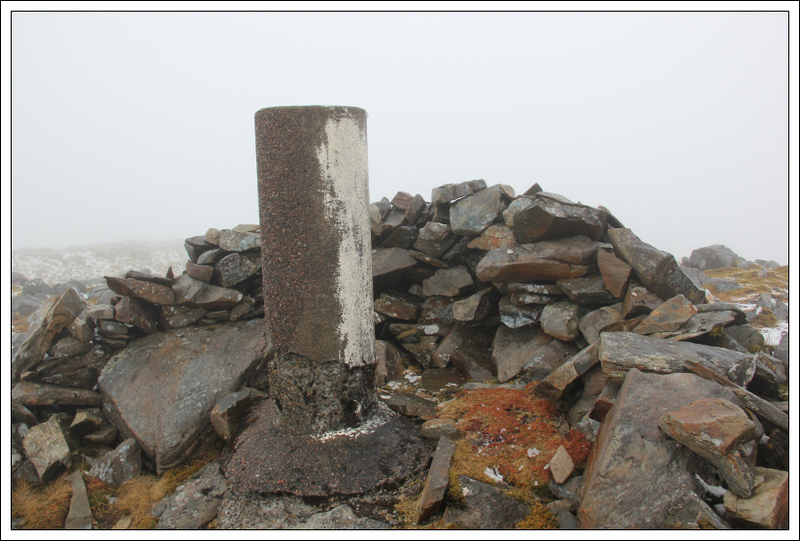 Really disappointing not to get any views from the summit. 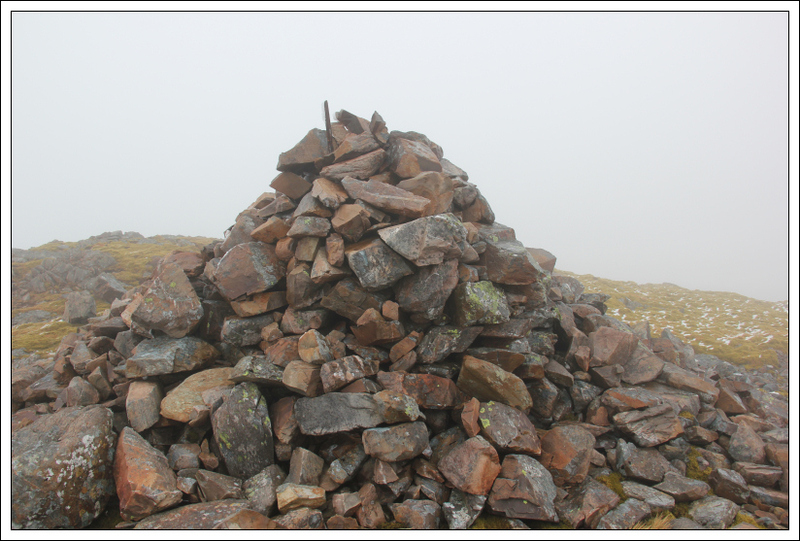 I’m guessing, given there are several cairns up there, that there are several good viewpoints. 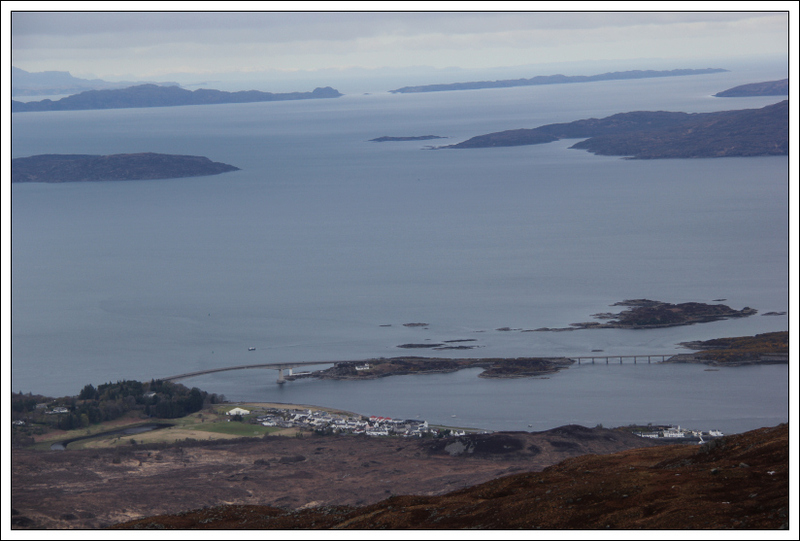 During the descent of Beinn na Caillich, the cloud lifted sufficiently to provide some views down to Kyleakin and the Skye bridge and to get a view of both Sgurr na Coinnich and Beinn na Caillich. 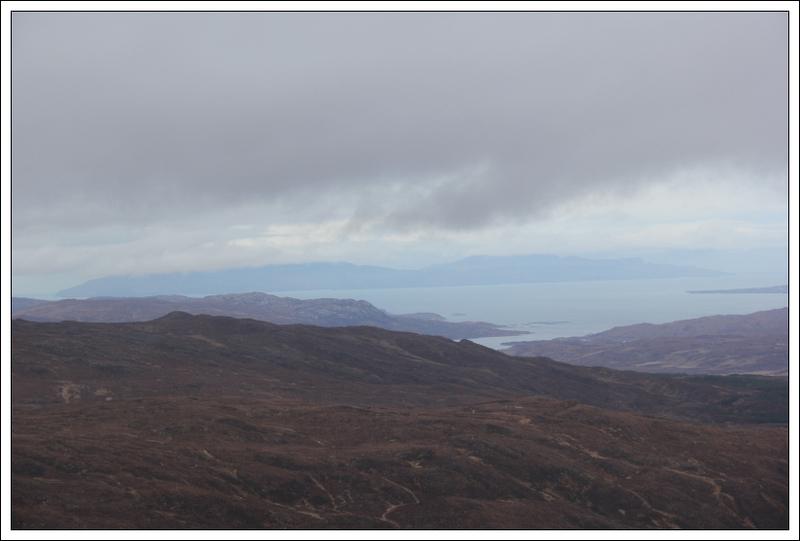 From the bealach, I re-ascended to the summit of Sgurr na Coinnich before following the same route back to the car. 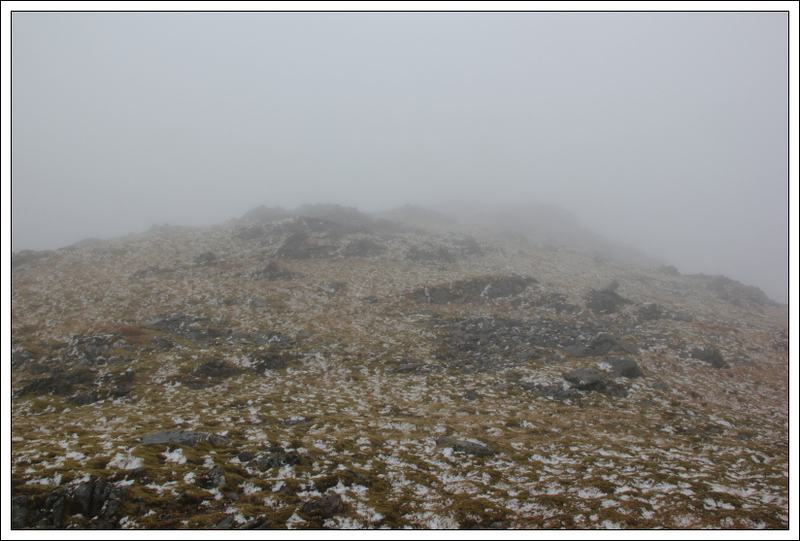 It was snowing for much of the walk out from Sgurr na Coinnich to the car. 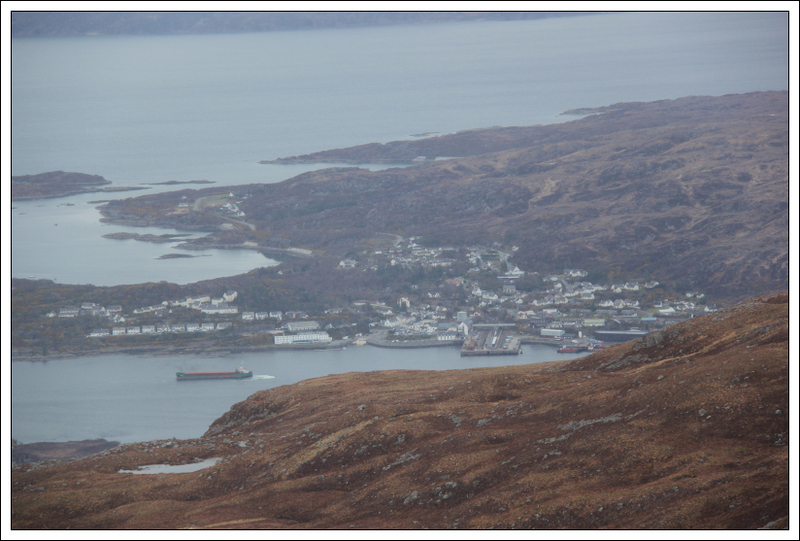 A good wee walk despite the low cloud and lack of views.